The winner of Castle Assault wins the right to drink from the fabled Castle Assault Mug of Mega Awesomeness (CAMoMA). Game System: Warhammer, 40k and Epic!!! What you get: Winner of the 1st day gets to drink from CAMoMA all night. This essentially means you get to drink (Alcohol or Softies) all night and it won’t cost you a cent. The only stipulation is that you behave in accordance to the laws of NSW and Newcastle. Winner of the event! 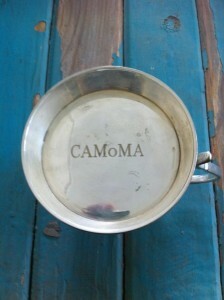 At the beginning of Day 2 CAMoMA will be cleaned and made ready for the overall winner announced after pack up on day 2. The winner of CAMoMA will get their entry ticket to the next years event for free plus they will be able to drink for free for the first day until the winner of day 1 is announced. The winner will also receive a very spiffy glass pint glass. When you come back to Castle Assault the following year and for all other years for that matter you will receive a complimentary drink or two. 2nd and 3rd place will receive some nice mugs (not so big as first place) they can bring these back the next year for a free drink.